Mark Bittman has 1 media appearance. City Arts & Lectures presents Mark Bittman discussing his latest cookbook, How to Cook Everything Fast: A Better Way to Cook Great Food. Mark will be in conversation with Jessica Battilana, co-author of Sausage Making: The Definitive Guide with Recipes. Click here for more information. How to cook everything fast is the latest in the practical How to Cook Everything series by Mark Bittman, bestselling author, lead food writer for The New York Times Magazine, and a columnist for the Times Dining section. Here, “fast” ranges from fifteen to forty-five minutes, and “everything” extends to some two thousand recipes. Focusing as much on how to choose the best ingredients as on how and when to prep them most efficiently, Bittman shows that fast food doesn’t have to come in a box—you can make it from scratch. Bittman will be in conversation with Joe Yonan, the Food editor of The Washington Post and author of Eat Your Vegetables. 1 General Admission Ticket: $15 1 Book and 1 Ticket: $40; $35 for members 1 Book and 2 Tickets: $50; $45 for members click here to purchase. All books and tickets will be available at will call. Politics & Prose will not have books or tickets available for pick up prior to the evening of the event. This event is an author talk with Q&A. Estimated time is 60 – 75 minutes. Doors and will call open at 6 p.m.
Mark Bittman is currently considered a "single author." If one or more works are by a distinct, homonymous authors, go ahead and split the author. 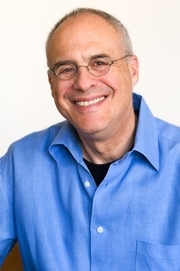 Mark Bittman is composed of 3 names. You can examine and separate out names.